I challenge you to find a classier looking Star Trek Enterprise coffee table. This one could sit in your living room without fear of embarrassment or heated arguments about interior design. 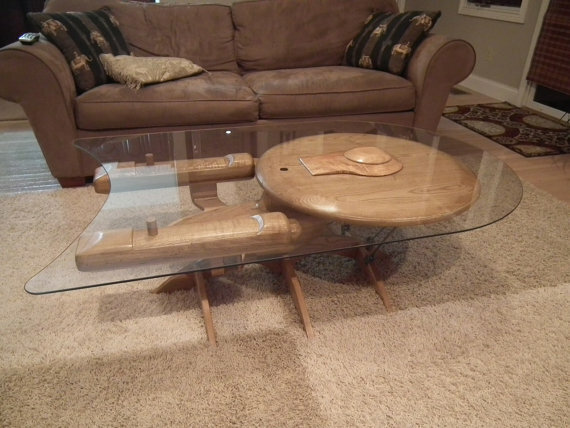 Modelled after the Ambassador-class USS Enterprise (NCC-1701-C), this hand-made coffee table is perfect for holding those 15 Star Trek coffee table books you own. Star Trek coffee table books on a Star Trek coffee table? Q, you nut! The appropriately named artist Barry Shields (Up! Red Alert!) 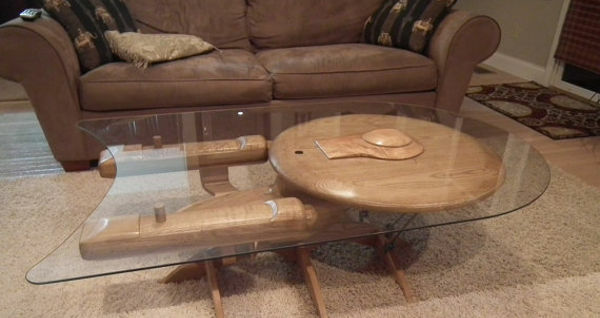 described it this way: "This Star Trek table is made from ash, poplar and cherry wood. It took me a month to build it and 2 tries to cut the 1/4″ glass the way I wanted but it turned out nicely. The glass is cut to look as though its in motion and the base was designed to portray the ship in orbit over a planet. It has a beautiful rubbed poly finish coat for complete protection for many years to come. Its solid, sturdy and you CAN put your feet up on it after a long day at the office. This is a one of a kind! You will not see another one like it." 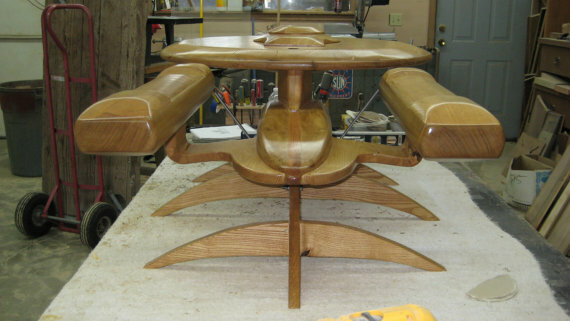 This table is for sale at a measly $3,500. Check out the rest of his work at Barry Shields Creations. Would you own this table? What would you put on it? Craig, a handcrafted piece like this is definitely worth the money. Not an impulse buy though. Good point Pat. I still have scars from mine. Battle scars. 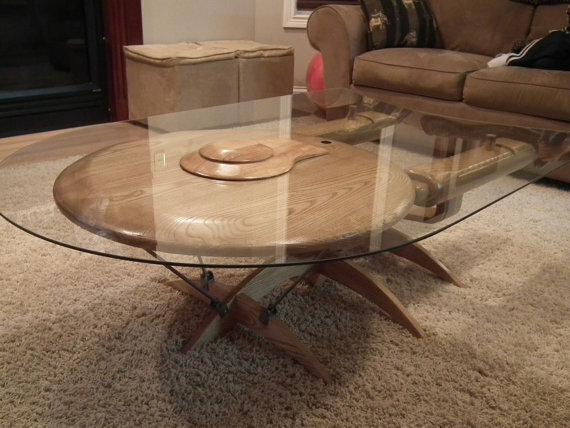 That is cool but I'd never buy a glass coffee table because I know I'd constantly trip over the thing and probably end up disemboweling myself with broken glass. i want one... no two! Just sell 3 books at $1,000 a piece Melissa! I want one as well!! !